Welcome parents! 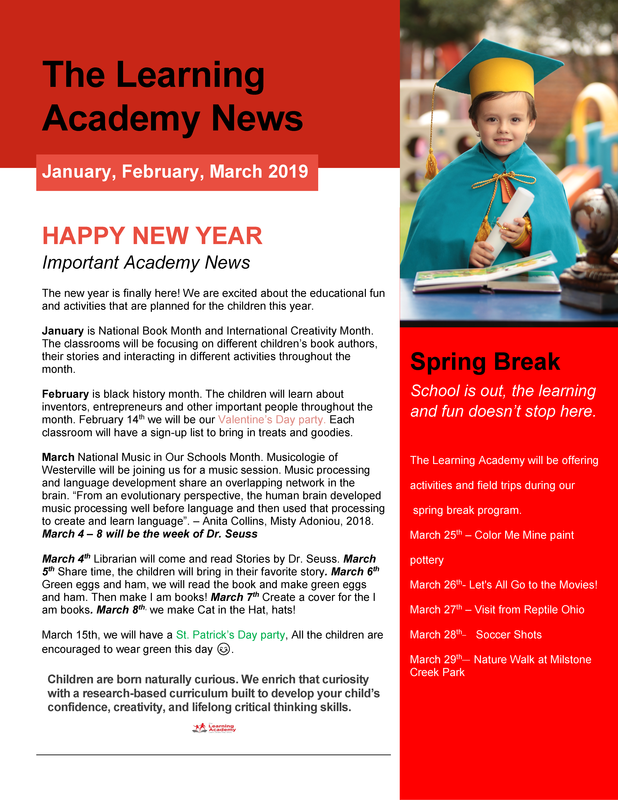 Here you will find important Learning Academy quarterly newsletters. You can download the PDF version of this newsletter by clicking here.